The world's colour expert has revolutionised gel colour and care. The Gel FX Manicure System ensures incredibly durable, chip-free manicures for 2 weeks with superior shine and easy removal. Gl FX also dries in half the time, thanks to LED light technology. Colour match meets colour care. 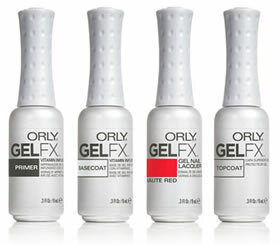 Gel FX is no ordianary gel manicure system. Our 3-in-1 Cleanser, Primer and Basecoat are power-packed with a vitamin infusion. The revolutionary formula nourishes nails with feel-good ingredients for durability, strength and shine. 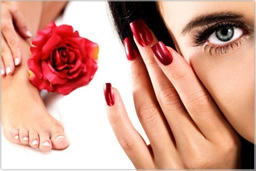 Antioxidant vitamins A and E help to promote healthy nails while pro-vitamin B5 protects the structure of the natural nail. Finish your Gel FX colour with our vitamin infused Cuticle Oil, made with orange blossom and wild cherry extracts to condition and moisturise problem cuticles. Full protection and incredible shine.